We encourage all Raters involved in MA programs to attend future sessions. With your involvement, these sessions will grow in value, so that we are all more informed, involved and have more opportunities to work within these great programs. 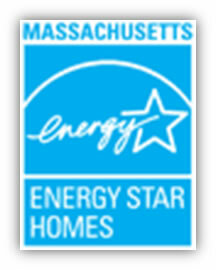 While Raters around the country struggle to explain the HERS Index Target and other Version 3 program requirements to their builders, and to convince HVAC contractors to become trained to participate in the new standard, Raters in Massachusetts have the benefit of working in the Massachusetts New Homes with ENERGY STAR program (MAES). MA ESTAR uses a program-specific User Defined Reference Home (UDRH) for compliance, versus a HERS Index Target such as is used in the national Energy Star New Homes program. Only Sections 3 and 5 of the ENERGY STAR Version 3 Thermal Enclosure System Rater Checklist required to be completed. No other Version 3 checklist requirements mandated. Other program specific requirements that are similar to the national program remain, such as required mechanical ventilation, efficient lighting and appliances, and AC sizing requirements. This program is really a blessing to Raters working in MA, as the total requirements of the program are significantly less than those of the national ENERGY STAR New Homes program. Additionally, there are huge incentives available for the builder and Rater for participating in the program. The tradeoffs are that, depending on the plan configuration, the baseline efficiency for Tier 1 (easiest) level of the MAES program may be more challenging to meet than efficiency levels required to meet the ENERGY STAR Version 3 HERS Index Target. Additionally, there are more robust quality assurance and documentation measures required by the program, which may be frustrating or onerous to deal with. Finally, although the program is called MA New Homes with ENERGY STAR, the homes do not qualify for the national program, and therefore neither the builder nor the Rater will receive credit for the homes being recognized as ENERGY STAR homes. Want to read more? Click here if you are already our member or Join the BER today. © Copyright 2019 Building Efficiency Resources, LLC, All Rights Reserved.